A product of Willem II, Frenkie de Jong worked his way up the youth ranks before making his Eredivisie debut for the club against Den Haag in May 2015, two days before his 18th birthday. Signed by Dutch giants Ajax that summer, the young midfielder spent the majority of his first two seasons there on the fringes of the first-team squad while playing for the Under-21s. He still made a number of appearances in the senior team, however, including as a substitute in the 2017 Europa League final Ajax lost to Manchester United. The following season was De Jong’s breakthrough year, and it actually started in the centre of defence after the departure of Davinson Sanchez to Tottenham. With another potential star in Matthijs de Ligt playing alongside him, Ajax boasted one of the youngest but most exciting central-defensive pairings in Europe. De Jong’s distribution, even from deep in his own half, marked him out as a genuine talent. After working his way through the international age groups with the Netherlands, the 21-year-old capped off a stellar year with his first appearance in the senior side – from the bench in a 2-1 friendly victory over Peru. Since then, De Jong has added four more caps, courtesy of important Nations League matches against the two most recent World Cup winners, France and Germany (above). He will no doubt add to this growing tally of appearances at the inaugural Nations League finals, where the Netherlands face England, this summer. It must be said, however, that De Jong is playing for an Ajax team that dominates the ball in almost all of their games – for such a talented passer, it has been a comfortable environment in which to grow as a young professional. Now, as he matures his game, the real test will come with his move to a new league and arguably Europe’s biggest club in Barcelona. With add-ons, his move to the Camp Nou could in time see him surpass Virgil van Dijk as the most expensive Dutch signing in history. If you want a summary of what Frenkie de Jong is all about, watch his dribble forward in the 55th minute of Ajax’s 3-0 home victory over PSV in December 2017 (above). The youngster begins by receiving a pass on the edge of his own penalty area, and then proceeds right down the central channel. Most central defenders will split and then step into midfield within the inside lanes – but not De Jong. In complete control throughout, he surges deep into PSV’s half before sliding a superb through ball in behind for David Neres to run on to. Ajax didn’t score from this particular move, but it encapsulates perfectly what this player can offer in possession. With Ajax bringing Daley Blind back to the Johan Cruyff Arena from Manchester United, De Jong has this season been moved higher into midfield, usually as part of a double pivot. Often paired with the vastly more experienced Lasse Schone, De Jong has a licence to attack from a deeper position, where he can still maintain his penetrative dribbling. He isn’t yet doing too much damage in terms of top-line stats – six goals and 10 assists in almost 70 first-team appearances – but he has had varied roles to date and looks more a player to assist the assist. There is plenty of time for Ajax and Barca to develop his final-third contributions. De Jong’s performances this season have carried echoes of Luka Modric in a deeper role, not to mention a hint of the disguised passing typical of future teammate Sergio Busquets. His ability to break both the midfield and defensive line often sees Ajax progress the ball into the final third (above). The timing of his release is another asset; he can draw defenders across before then reversing the ball back through the gap they have just left. Defensively, the 21-year-old is improving. As a midfielder, he initially struggled when making recovery runs – his desire to have the ball at his feet isn’t always matched by his hunger for winning it back, although he has been known to dive in during moments of transition. His preference to slide in on the ground can be a problem, especially when faced with nimble and pacy opponents who can exploit this. If he can change his technique to pinch the ball away from opponents rather than wiping them out altogether, he is only going to get better still. Like most of the Dutch greats, De Jong looks destined to fulfil his potential away from the Netherlands. Much like legends such as Johan Cruyff, Johan Neeskens and Frank de Boer before him, the move from Ajax to Barcelona looks a perfect fit. Currently, the reigning Spanish champions have central midfielders Sergio Busquets, Ivan Rakitic and Arturo Vidal all the wrong side of 30. Recent recruits Philippe Coutinho and Arthur represent the younger generation, but the former is struggling to find his best form since his big-money move from Liverpool. With this in mind, De Jong – an excellent ball-carrier who can move possession quickly and accurately – might find himself pressing for a starting role sooner rather than later. 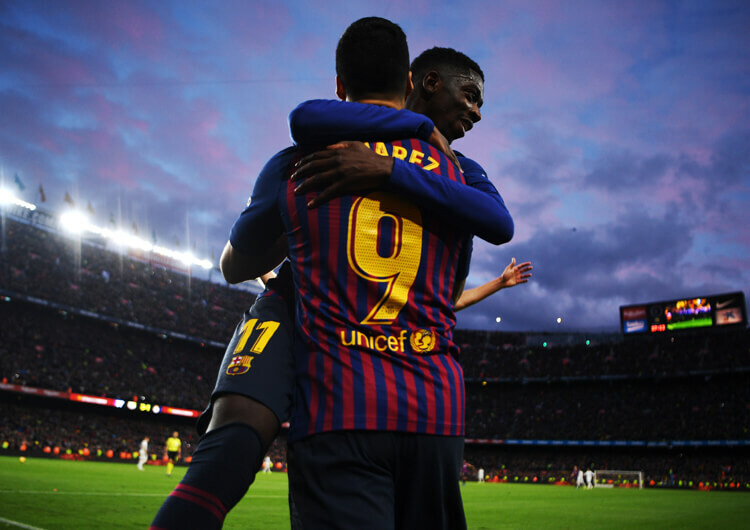 The 21-year-old’s desire to get on the ball enables him to quickly press opponents, particularly if he is supported by teammates within a close proximity – a tactic Barcelona traditionally employ to great effect. However, Barca’s preferred method of press is to pinch the ball as it travels between opponents, rather than dispossessing players with the ball at their feet. De Jong won’t have to dig too deep in the Camp Nou archives to find evidence of this – smaller players such as Xavi, Andres Iniesta and, of course, Lionel Messi have long been masters of the art. In his short career to date, though, De Jong has given evidence of his adaptability and versatility. For Ajax this season, he has played mostly on the left side of a double pivot in a 4-2-3-1 structure – but he has also played as a single central pivot, from the right with a two-man screen and in central defence. As the graphics above suggest, he can fill any number of roles in Barcelona’s usual 4-3-3 formation, whether alongside or even as cover for the great Busquets. 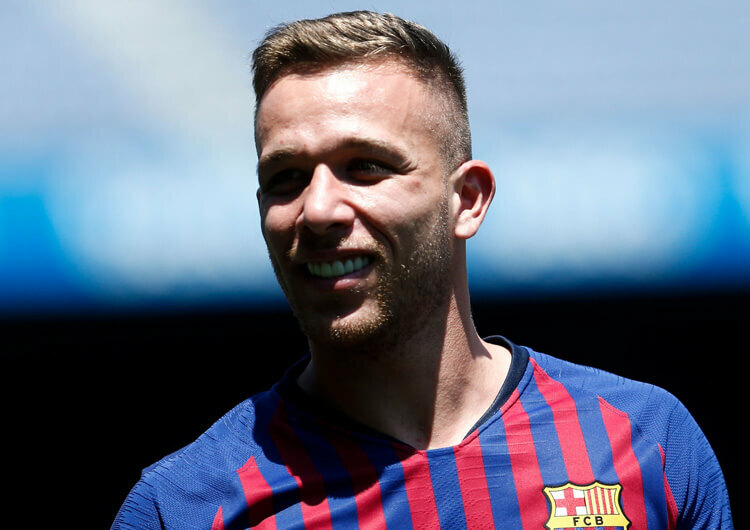 One thing is for certain, however – Barcelona have acquired themselves an incredibly talented young footballer who has the potential to be almost anything.